We’d love your help. Let us know what’s wrong with this preview of Leaving the Hall Light On by Madeline Sharples. To ask other readers questions about Leaving the Hall Light On, please sign up. This memoir pins you down and never lets go. There wasn't one moment where I wasn't thinking about Madeline's heartbreak, and Paul's suffering, and anticipating the time I could sit down and read it again in peace. You want to immerse yourself in total silence while reading this extraordinarily powerful story. I'm not sure why I felt this way. Perhaps it was a subconscious act of respect. Perhaps I felt as if Madeline, Paul, Bob and Ben, needed my undivided attention. Actually, I think that is t This memoir pins you down and never lets go. There wasn't one moment where I wasn't thinking about Madeline's heartbreak, and Paul's suffering, and anticipating the time I could sit down and read it again in peace. You want to immerse yourself in total silence while reading this extraordinarily powerful story. I'm not sure why I felt this way. Perhaps it was a subconscious act of respect. Perhaps I felt as if Madeline, Paul, Bob and Ben, needed my undivided attention. Actually, I think that is the reason. It was as if I wasn't even reading, but watching the story unfold right before my very eyes. Who wants background noise when someone is pouring their heart out to you? I certainly don't. I cried. Three times, in fact. The first time straight after the very first paragraph. The second time during one of Bob's (Madeline's husband) journal entries describing the scene of finding their son, Paul, dead, in a pool of blood, in their bath, throat and wrists slit. And the third time after reading a poem called "A Stone Called Son". I don't think I can justifiably describe how I'm feeling about this book. Tears are welling up in my eyes as I'm writing this, trying to figure out how to express myself. My gosh, I'm a writer and I can't find the words to tell you how much I wish every single person on this planet would read this book. "Leaving the Hall Light On" is a memoir by poet Madeline Sharples of California. Madeline is the mother of two sons. The eldest, Paul, suffered from bipolar disorder, which came on suddenly in young adulthood and resulted in his committing suicide at a young age. In the years since that terrible time, Madeline has written poetry, worked hard to maintain her own body and mind in a healthy way, and found a way to move forward, as a mother, as a wife, as a woman whose heart and spirit were broken b "Leaving the Hall Light On" is a memoir by poet Madeline Sharples of California. Madeline is the mother of two sons. The eldest, Paul, suffered from bipolar disorder, which came on suddenly in young adulthood and resulted in his committing suicide at a young age. In the years since that terrible time, Madeline has written poetry, worked hard to maintain her own body and mind in a healthy way, and found a way to move forward, as a mother, as a wife, as a woman whose heart and spirit were broken by the loss of a son, a son whose family tried so very hard to help him in every possible way. There are so many people with bipolar disorder and so many families who struggle to cope with a mentally ill family member. And, sadly, so many parents who have lost a child to suicide. This is a book you will want to recommend to these hurting families. Losing a child to suicide brings emotions and experiences to one's life that are different from losing a child to any other type of tragedy. Madeline addresses all of the "tough stuff" of being a parent in this position, but she goes beyond that. Her personality glows and the way she shares so honestly what is on her heart as she moves forward into Life, will encourage readers who face the unimaginable. I especially appreciated reading about the practical, day-to-day events and steps Madeline took to find peace and an ability to embrace life after Paul's death. She writes about her relationship with her husband, Bob, and their son, Ben, and the book ends on a happy note: the transformation of Paul's bedroom into Madeline's writing room, and Ben's wedding to Marissa in the beautiful garden at Madeline and Bob's home. We live in a culture obsessed with image. Not just image but the illusion of happiness. When we run into a friend, the customary greeting is, "Hi, how are you?" But we don't usually want to know the answer, not if the person in question is struggling with serious issues. In point of fact, we prefer they keep their issues to themselves and smile like everything's fine. Then we sit back and wonder why those who commit suicide didn't show any signs, why they didn't ask for help, why no one did anyt We live in a culture obsessed with image. Not just image but the illusion of happiness. When we run into a friend, the customary greeting is, "Hi, how are you?" But we don't usually want to know the answer, not if the person in question is struggling with serious issues. In point of fact, we prefer they keep their issues to themselves and smile like everything's fine. Then we sit back and wonder why those who commit suicide didn't show any signs, why they didn't ask for help, why no one did anything to stop them. I know this is not something I'm supposed to admit, but I started thinking about suicide as a teenager. What would happen if I discreetly jumped off a cliff, or stepped in front of a car, or threw myself out the window? I'd love to write the politically correct thing now and say I stopped thinking of it when I grew up, but the truth is that even now, I imagine doing it whenever I'm depressed. Yes, I know that's seriously twisted. But imagining these scenarios has a way of making me feel better. Probably because I'm conscious of how much power there is in simply choosing to live. That said, I doubt I'm the only person like this, and wonder how many normal people let their minds think of this when they're feeling hopeless or depressed. 1. It deals with serious issues like mental illness and suicide. 2. The descriptions of manic depression and paranoia are accurate to a tee and forced me to remember things in my own life that I'd rather forget. 3. The author doesn't sugar-coat the situation. 4. She is honest about her feelings. Number four is key, because as much as society claims to value honestly, we lie to ourselves ALL THE TIME. What's worse? We criticize those who tell the truth. There's a reason politicians lie. It's because we want them to. So here is my bit of truth for this morning, one I'm sure will win me no friends. How often do we expect those that have lost a child to comfort us because we feel helpless? How often do we pull away from listening to someone talk about their grief or anger because we think they've had time enough to grieve? How often, in a culture that's obsessed with fixing things, do we avoid those who have problems we can't fix? I know I've done it. The thing that struck me the most after reading this book was how hard it must be day after day to go on living when you know your son is gone. What a struggle that must have been for Madeline and her family. What courage it must have taken them to live one day at a time. Paul's death, final as it was, didn't end anything for his family. Instead it began a long and slow process of denial, anger, sadness, bargaining, and ultimately healing. The prime concern of any well-adjusted parent is to take responsibility for their children’s well being—to love and nurture them into adulthood, and beyond. The difficulty to ‘let go’ often seems to be the norm rather than the exception, so I can’t even begin to imagine how you deal with a child’s premature death, let alone if it’s due to suicide. Sharples has no choice but to do all of the above, plus she plucks up courage to write the story and in doing so probes into the painful details of he The prime concern of any well-adjusted parent is to take responsibility for their children’s well being—to love and nurture them into adulthood, and beyond. The difficulty to ‘let go’ often seems to be the norm rather than the exception, so I can’t even begin to imagine how you deal with a child’s premature death, let alone if it’s due to suicide. Sharples has no choice but to do all of the above, plus she plucks up courage to write the story and in doing so probes into the painful details of her eldest son’s battle with bipolar disorder, a traumatic time that impacted all the members of her family. What parent can imagine living through the horrors of a child’s battle with bipolar disorder ending in suicide several years after diagnosis and attempted treatment? Likely no one’s imagination works at this level. Madeline Sharples, author of Leaving the Hall Light On: A Mother's Memoir of Living with Her Son's Bipolar Disorder and Surviving His Suicide, has lived this nightmare. And amazingly, she and her family survived this traumatic period. Sharples’ memoir chronicles her elder son, Paul’s de What parent can imagine living through the horrors of a child’s battle with bipolar disorder ending in suicide several years after diagnosis and attempted treatment? Likely no one’s imagination works at this level. Sharples’ memoir chronicles her elder son, Paul’s descent into the terrors of bipolar disorder and his eventual suicide. My goal in writing this book is to tell my story in the most truthful and real terms possible. Otherwise it won’t be of any use to anyone – including me. Sharples has done exactly that by sharing an account which includes a mix of advice, education about bipolar disorder, a desire to remove the stigma surrounding bipolar disorder and similar mental illnesses, and hope for families living with similar tragedies. She digs deep into her own story to share her belief that each victim in such a tragedy has choices: a choice to move on, a choice to take care of him- or herself, and a choice to be the best husband, wife, father, mother, child possible. Because of Sharples’ gift of descriptive detail, her reader learns a great deal about Paul from infancy. The reader meets a precocious, piano playing, curly-headed and happy toddler, and several photographs underscoring this part of Paul’s life are included. Later photos share a Paul who is happily smiling whether alone or with a relative. These photos connect the reader to Paul in a visual way, allowing you to watch Paul grow and thrive. Growing into adolescence, Paul showed an innate ability to connect with children, experienced continued successes with the piano, and developed a knack for repairing computers. All the goodness of this son shines through. If not for these details about Paul highlighting the goodness in him, Leaving the Hall Light On could only be classified as an angry and furious assault by a distraught mother who is not only heartbroken but also confused and hurt by Paul’s choices. Madeline Sharples began writing her journey with Paul through poetry. Not always a fan of poetry, this reviewer became intrigued by the author’s poems and appreciated an exposure to poetry that actually spoke to the heart. Perhaps that is because the reviewer is a mother. Yet one realizes in her poetry as well as her memoir narrative Sharples has shared her journey using raw, intense emotion coupled with truth and love. Her story is alive and beats with a heart torn asunder and yet healing. Although difficult to read at times, I found myself unable to put this book down. Others have mentioned needing to step away and come back. I felt drawn into a relationship with Paul, his parents and his younger brother Ben, as if I were a good friend standing in the shadows as this nightmare played out. This is due in part to Sharples’ unique style of writing – comfortable, conversational, and filled with truth and emotion. I wanted to be there for them all. I needed to know where this journey took them. As the stepmother of a young woman diagnosed with bipolar disorder and complicated by attention deficit hyperactive disorder, perhaps my fascination was also rooted in the continuing search by our family for answers. Madeline Sharples provided some answers for us, and for this reason alone I highly recommend this book to families in similar situations. Because of her unique use of narrative and poetry and her treatment in this family's story of not only her own emotional trauma but also that of her husband and their son Ben, I recommend this as a memoir worth reading as a unique example of superior memoir writing. Madeline Sharples fulfilled several purposes as she wrote her memoir, Leaving the Hall Light On, about surviving the trauma of her son's sudden affliction with bipolar disorder and eventual suicide. One purpose was to find closure for her personal grieving process by sharing Paul's story with the world to ensure his memory lives on. She also wrote to educate the public about this disorder and mental illness in general, hoping to make some dent in the lingering stigma it still carries, and finall Madeline Sharples fulfilled several purposes as she wrote her memoir, Leaving the Hall Light On, about surviving the trauma of her son's sudden affliction with bipolar disorder and eventual suicide. One purpose was to find closure for her personal grieving process by sharing Paul's story with the world to ensure his memory lives on. She also wrote to educate the public about this disorder and mental illness in general, hoping to make some dent in the lingering stigma it still carries, and finally to provide hope for others that families can survive such tragedies intact in mind, spirit and relationships. Brave and Gritty. Sharples seems scrupulously honest and forthright about feelings and intimate details of family life during the stress of Paul's illness and following his death. In the first chapter she explores factors in Paul's background that could have led to his condition, factors she felt guilt about, and could have chosen not to include. She enlarges the focus by including details of her rocky relationship with her mother and mental problems in many of her older relatives. In divulging personal details such as the pleasure she takes in looking her best, she holds to her purpose of showing how self-care has been a cornerstone of recovery for her. While not everyone can afford to hop on cross-country flights several times a year to aid troubled offspring, indulge in writing retreats at Big Sur, or frequent the opera, anyone can follow her example and find ways of pampering themselves within their means, possibly with videos from the library, going out for beer and pizza, and a new style from Supercuts. Innovative. This memoir began as a collection of poems that poured from her pen shortly after Paul's death. She initially intended the poems to serve as a memoir, but soon realized narrative was required to flesh them out with detail and context. Poetry and photos are an integral part of the book, lending an emotional depth difficult to achieve with standard narrative. Resourceful. Although this is primarily Madeline's memoir, to some extent it is also a Sharples family project. She includes a few snippets from her husband Bob's journal entries along with input from her son Ben. These additional perspectives lend depth and round out the story. Bob's view of the situation is dramatically different from Madeline's and the comparison helps readers realize how variable reactions to grief can be and how differences can be a source of strength. Inspiring. The family has come through this devastating experience without a second suicide (an unfortunately frequent aftermath), divorce, substance abuse, or other dysfunctions. Although they'll never forget, and their lives have been changed forever, the Sharples family has returned to a normal, healthy, even happy life. Knowing this should be encouraging to many who are waiting or will be for recovery from similar trauma and loss. Even if this form of tragedy has not touched your life, this book is sure to increase your understanding and compassion for others in turmoil. This is the first memoir I’ve read about a son suffering from bipolar disorder and eventually committing suicide. As a mother myself, I have to say, Madeline Sharples, covers every aspect of what a mother, wife and friend must feel which such candor, that I could hear her voice as I was reading. It’s refreshing to read the truth, not a subdued version, but the raw emotions that this mother is going through. From the moment that her husband Bob says, “Paul is dead. Call 911” we hear Madeline screaming that her son is dead. In detail, she questions everything, including, how she desperately wanted “to believe Paul didn’t plan his suicide,” contrary to her husband’s view. Madeline wanted to believe “the voices in his head told him to.” Madeline even admits how soon after Paul’s death, she began to think of her own suicide. Madeline’s poems and beautiful photos of her family, add to making the reader feel like he/she is being invited to share her life and become an “invited guest” of her story. Every detail is covered in this memoir, including personal information about intimacy with her husband, how they have coped and kept their marriage intact, how Madeline stays healthy, exercises, and takes care of herself. It is a beautiful story of love, and the strength and courage to survive. Once I began reading this book, I couldn't put it down until it was done. This is a moving,powerful and oh-so-very-human account of the suicide of one mother's son told through poetry and prose. The author doesn't just tell the story, she invites the reader into her family's life. We don't just hear what happened, we EXPERIENCE what happened and the fallout from it and the ongoing will the survivors have to survive. Very often,personal stories of such tragedies paint the storyteller as a saint,so Once I began reading this book, I couldn't put it down until it was done. This is a moving,powerful and oh-so-very-human account of the suicide of one mother's son told through poetry and prose. The author doesn't just tell the story, she invites the reader into her family's life. We don't just hear what happened, we EXPERIENCE what happened and the fallout from it and the ongoing will the survivors have to survive. Very often,personal stories of such tragedies paint the storyteller as a saint,someone who has only good things left to say. But that isn't the case with this mother's memoir. She allows us to see her and her family at their best and worst and everything in between. Toward the end of the book, Sharples says: "I remember how he looked as he stood there and then leaned his face down for my kiss as if he is here with me right now. And that's good. My goal to never forget him has been met." Once you read the book,you,reader,will never forget anyone in this family. This is a beautiful memoir that spoke to and encouraged me in many ways. The loss and grief was palpable as Madeline took me along with her down the dark valley of her son's illness, his untimely death, and her press towards healing. She uses poetry that is deeply moving and woven in the story beautifully. I also enjoyed the pictures she included as it helped me see the family members and embrace their journey. I've never lost a child and never want to imagine what it would be like, however I’ve feared losing one of them…and two of my five have made attempts or been caught in accidental overdose situations. I do understand losing a brother and parents, all three by accidents...sudden, unexpected, death. As I went through the story of Madeline's family, my heart ached for them and I learned a lot about mental illness that is helpful for me. I believe that everyone should read this because it is good to know what types of symptoms to watch out for. With such graceful honesty, Madeline shares her heart and soul so much so that I feel as if we are close friends. Working through the stages of grief is daunting and scary, which she handles with lyrical prose. She gives a piece of each stage that I could feel in every bone of my body. I broke again with her in reliving my own grief and I felt thankful that someone else knows what it's like to pick up a life when you don't know why you are left without them. The blaming of oneself for what happened, even feeling like we may have caused it or are unworthy of having them in our life...palpable, touching, honest...her expressions in many cases are the same that I felt although I've not lost a child. The fear of what to do in trying to help someone that is sick where they can't help themselves. Turning over and over in the mind any possible scenario of danger...I get this. The frustration of trying to help a child, a young adult, grow up and take care of themself when they are seemingly unable to do so is heart wrenching. As a parent we want to do more for them but don't want to enable them...after all, they are adults and they want to be independent. Hurts like hell! I'm still living some of these circumstances and struggle to remain civil at times. What Madeline expresses and shows us through her story is that it takes resilience from every member of the family to endure and overcome this type of tragedy. I’ve read this memoir three times and will read it again. There is something behind the words that touches me in unspeakable places for grief is real and it’s with us for the rest of our lives. Those that haven’t lost a family member, those that have mental illness in their family, those that struggle with the ‘why’ of life, there is something here for everyone. As host of #JournalChat Live for all things journaling on Twitter, I have had the delight of meeting and chatting with writer, poet and avid journal keeper, Madeline Sharples, author of the memoir, Leaving the Hall Light On, which reveals her in-depth experience as Mom of a son who suffered with bi-polar disorder and who later committed suicide. Up to this point, I had only read memoir from an adult child's point of view of the parent and not ones that dealt directly with a child's mental illness As host of #JournalChat Live for all things journaling on Twitter, I have had the delight of meeting and chatting with writer, poet and avid journal keeper, Madeline Sharples, author of the memoir, Leaving the Hall Light On, which reveals her in-depth experience as Mom of a son who suffered with bi-polar disorder and who later committed suicide. Up to this point, I had only read memoir from an adult child's point of view of the parent and not ones that dealt directly with a child's mental illness; and since Madeline's was written from a mother's point of view, I felt it was an important opportunity to learn more of her story, which she partially built and wrote from journal entries she penned during her son's mental illness and in the aftermath of his death. One of the main elements of Madeline's memoir that I especially appreciated was her balanced narrative that was heartfelt as well as honest and forthright. She doesn't gloss her story but, instead, shares her frustration, confusion and anger that she felt toward her son, Paul, in response to his mental illness. She truly gives a clear and detailed inside view of what her family life was like during this time, which also included her mother, her husband, Bob, and her younger son, Ben. Throughout the narrative she also includes a poetic thread of her point of view with tie-ins to the family-themed stories told in heartfelt detail that all relate to raising her meticulous, musical, and technologically talented son, both in his early childhood and later as a young adult. Madeline shares in her book all the decisions she's had to make regarding her survival of Paul's suicide, from her work choices to answering the question, "How many children do you have? ", one that can be daunting to consider when dealing with the reactions of others. She speaks of friends who have gone and new ones that she has now established, post Paul's death. Madeline's marriage to Bob is a highlight throughout her story as she shares their differences in their approaches to reckoning with their son's death as well their continued life today. It's quite an encouragment to see how their love has endured through one of the toughest challenges any parent can ever face. Her ways of keeping Paul's memory alive are both loaded with Mother-Love and a keen sense of who Paul was with all sides of his authentic personality; she also shows who she is now in her roles as wife to Bob, Mom to Ben, writer, poet and journal keeper. After reading Madeline's memoir, Leaving the Hall Light On, I have a new understanding and an immediate sense of her frustration and her grief; but I have also been inspired by seeing her determination and grit to move forward which she has done by making wise choices for herself to stay strong, refreshed, and loved. Over the past year or so, I have stepped out of my comfort zone, and started reading memoirs. And honestly, the ones that I have read have had a lasting impact on me. The author shares, very candidly, her journey as, a wife and mother, coping with a son who was diagnosed with a BiPolar Disorder and then his sucicide. Her pain and recovery. This book was a bit of a hard read for me because of some of the parallels in the story. A thought provoking read on many levels and for varied reasons. One of the similarities was I am a parent of 2 sons, 2 1/2 years apart and the oldest named Paul, the same as the author. While reading of her struggle with her son Paul, I found myself asking, "what if it was my Paul? Another thing I could relate to was the BiPolar Disorder, because of my background in nursing, I am familiar with the struggles of those diagnosed with the disease, the patterns they have and the signs and symptoms. Ms. Sharples shares her painful experience of living through her son's periods of mania and depression. Her raw emotions are palpable. Then the worst nightmare that every parent fears, burying one's child. And even worse, not knowing the whys. Does any parent have closure? No such thing. How does one go on? I can't even imagine, having to go through something like this. She frankly and honestly describes her emotions of love, anger, worry, depression, hope, guilt, and even at times, selfishness. How she used writing poetry, which are also in the book, as a coping mechanism. And the decision to write this, which had to be very painful, memoir. As a parent, it was a heart wrenching read. But it was also a read of survival and recovery. It's then that the hall light goes off. I started thinking about suicide as a teenager. What would happen if I discreetly jumped off a cliff, or stepped in front of a car, or threw myself out the window? I'd love to write the politically correct thing now and say I stopped thinking of it when I grew up, but the truth is that even now, I imagine doing it whenever I'm depressed. Yes, I know that's seriously twisted. But imagining these scenarios has a way of making me feel better. Probably because I'm conscious of how much power there is I started thinking about suicide as a teenager. What would happen if I discreetly jumped off a cliff, or stepped in front of a car, or threw myself out the window? The thing that struck me the most after reading this book was how hard it must be day after day to go on living when you know your son is gone. What a struggle that must have been for Madeline and her family. What courage it took to live one day at a time. Paul's death, final as it was, didn't end anything for his family. Instead it began a long and slow process of denial, anger, sadness, bargaining, and ultimately healing. THE TV SHOW 60 MINUTES ran a segment recently that addressed the issue of mental illness and the mistreatment of patients by the current mental health care system. There is a cycle: patients are at risk of becoming a danger to themselves or others and are admitted to a psychiatric facility. Doctors prescribe medication which stabilizes the patient. The patient is then released. Back in society, the patient stops taking the meds, destabilizes and is readmitted. And the cycle continues. Pardon my bluntness here but how freaking asinine is this? I have to admit that this harmful inefficiency makes me angry. In this modern day and age, how can we continue to employ a system that mistreats and neglects the needs of vulnerable citizens and their families? It's not right and it needs to change. This flawed system is what Madeline Sharples and her husband Bob were up against when they discovered their son Paul had bi-polar disorder. And for them, like so many, the cycle ended tragically with Paul's suicide. Madeline's riveting account takes us back to how a sweet, young boy with incredible talent and promise devolved into a young man with a disorder that confounded them. Eventually they get a diagnosis but they need so much more. In some ways, I know what Madeline went through. In 2005, my best friend ended her life in her psych ward room a few hours after I left her there. This just goes to show that the system has a long way to go. It had parallels with Danielle Steel's His Bright light, I thought, which I read a lot of years ago. This was a son like her Nick that was clearly loved all his life, totally evidenced by all the photos of him throughout his life she included in the book. Clearly some really happy memories. It was very well written though I did happen on some apostrophe errors and a couple of spelling mistakes too which surprised me as they were both near the end and I was impressed I'd not happened upon any !! A rare thing indeed these days. I could understand how exasperated Bob got. I think Madeline's patience with Paul exceeded his although I am sure I'd have had even less. You could understand how in so many ways his death freed them all a bit from all the misery his illness brought to all their lives. I loved the idea of The Last Sunset photo they have in Madeline's office. What a lovely idea. This is one of the most disturbing memoirs I have ever read, and at the same time, one of the most hopeful. The author takes us through the long journey of watching her brilliant, promising, gentle son descend into the hell of mental illness. Despite her desperate effort to keep him alive, he continues to fall away. After his gruesome suicide ends his life, she must rebuild what’s left of hers. She must climb back from bottomless despair, to save her sanity and her marriage. During this second p This is one of the most disturbing memoirs I have ever read, and at the same time, one of the most hopeful. The author takes us through the long journey of watching her brilliant, promising, gentle son descend into the hell of mental illness. Despite her desperate effort to keep him alive, he continues to fall away. After his gruesome suicide ends his life, she must rebuild what’s left of hers. She must climb back from bottomless despair, to save her sanity and her marriage. During this second part of the journey, she learns how to force her way past self-doubts, and kindle new sources of sustenance. Aided by friendship, spirituality, poetry writing, and other tools, her relentless effort provides an inspiring model for mid-life self development. The memoir portrays Madeline Sharple’s tireless effort to maintain and increase her wholeness in the face of misery and failure. After her effort to renew her own life, she continues to work tirelessly to turn the saga into a memoir. Writing the story helps her pull herself together and then offers the rest of us an inside look at how she does it. A very moving book on a topic most of us pray we never have to deal with. To say my heart breaks for Mrs. Sharples seems like not enough. Her family has been through so much, and yet still she continues on. To lose a child is something I hope I never have to face, but I'm grateful that someone can put their painful emotions down to help the rest of us. I thought it was a good memoir about how a mother dealt with her son's bipolar disorder. She also tells how she got through the pain of losing him and how she was able to move with her life. It's not just about death but healing too. This is a powerful story and it is beautifully written. I recommend it to anybody who has dealt with the mental illness of a family member, with suicide, or with loss of any kind. It's a sad story, but it's a healing book. This is a tough book to read as a parent. But I'm glad I did. Kudos to the author for sharing her difficult story. What a wonderful tribute to your son, Paul. I marvel at how you handled the loss and ensuing months and wonder if I could have done as well. My heart and thoughts are with you. This book is a well-written account of how members of a family grieved and came to terms with the death by suicide of a member of the family who had Bipolar II disorder. In Leaving the Hall Light On, Madeleine Sharples writes about one of the most grievous experiences of a mother’s life – what her elder son’s bi-polar disorder diagnosis does to him, to her, to his father and younger brother, and to all those who were close to him. I used ‘were’ intentionally because after such a diagnosis nothing is the same again, ever. There was the normally capricious past. Now there is neither present nor future, just an uncertain hell. Until the suicide. That brings deeper In Leaving the Hall Light On, Madeleine Sharples writes about one of the most grievous experiences of a mother’s life – what her elder son’s bi-polar disorder diagnosis does to him, to her, to his father and younger brother, and to all those who were close to him. I used ‘were’ intentionally because after such a diagnosis nothing is the same again, ever. There was the normally capricious past. Now there is neither present nor future, just an uncertain hell. Until the suicide. That brings deeper torment until slowly, with enormous personal effort and strength, a precarious present is reached and the firm promise of a tolerable future. Leaving the Hall Light On is well and honestly written. It is brim-full of compassion and the longing to understand, to exonerate, and to breathe new sweet life into an emptiness while acknowledging that now, only compromise is possible. The pages are full of evidence that it has been difficult for Madeline to write her story. 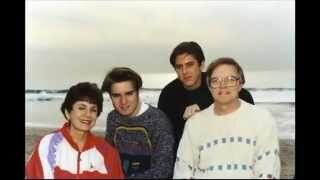 It has to be hers and not her son’s because Paul’s bipolar disorder stripped him of the capacity to interact with his family and his friends as he did before, as a rational, responsible social being. It is in the destruction of the normal relationship of human reciprocity that bipolar disorder wreaks its havoc. Under normal circumstances, we respond to our fellow human beings – parents, children, siblings, lover -with a range of natural emotions because we think of one another as people with rights and duties and a self-consciousness that governs our various presents and our various futures. But this mental disorder removes its victim’s capacity to govern himself as a rationale, responsible social being. The only alternative for a parent, sibling or friend is to treat the victim, especially during an episode, as a biological entity that medical science tells is now dysfunctional. Nevertheless, the law says that he must be treated as an autonomous adult and herein lies the conundrum for those who love him. Gone is the person-to-person meaning. It diminishes to a point where there is no longer anything stable to hang onto. From being a beloved son, the victim, while still the recognizable physical person they always were, is now an object from whom the self-awareness that once matched our own has been erased. Madeline Sharples says this but far, far more than this in more intimate and concrete terms. I felt the intensity of her frustration as she watched her son become an uncommunicative stranger without being able to prevent his transformation. I started reading Leaving the Hall Light On half-knowing what I might find. Three times in my life I’ve acted as advocate for friends/colleagues diagnosed with bi-polar disorder. These undertakings have been among the most difficult and certainly the most harrowing challenges of my life – even at that relatively safe distance. Madeline shows the reader what it is like from the close-up love of a mother. At least three categories of reader will benefit from reading Leaving the Hall Light on. The first is made up of those who never come directly into contact with bipolar disorder. They will gain the vicarious experience that can prepare them for a possible encounter. The second is made up of those who offer support to friends or employees diagnosed as bipolar. They will learn that no matter how difficult they find the task, a parent’s heartbreak is a thousand times greater. The third category – close family members of those with bi-polar disorder – may gain some comfort from knowing that their feelings of frustration, exasperation, helplessness and guilt are not unique and, more importantly, must not be allowed to cripple them. Coping strategies are essential if they are to survive even as the walking wounded, as collateral damage. But each must find his or her own coping mechanisms. They may find reassuring that Madeline Sharples found hers. That reassurance may prevent them from surrendering to utter wretchedness. Leaving the Hall Light On is a book about the strength of a loving mother to overcome the greatest of agonies. Life will never be as it was before. Its dimensions have shifted but it is still worth living. I recently had the honor of reading a touching memoir written by a loving mother who lost her son to mental illness and suicide. Had I not come to know Madeline prior to reading Leaving the Hall Light On, I quite honestly might not have read the memoir at all. I prefer movies and books that are filled with love and laughter. The first few pages of Sharples memoir describe the way her son, Paul, ended his life. There is nothing about losing a child that makes me want to laugh…but knowing Sharples and her warm smile and great sense of humor caused me to read on. I just knew she would somehow endure the pain and heartache with a smile on her face. I am not very familiar with mental illness and my children are just babies, but Sharples described events in her life and the life of her son in such a way I could easily understand. Leaving the Hall Light On reads almost like a journal or maybe more like a letter to a friend. I was drawn into the story as well as the emotional roller-coaster she was feeling as she retells the stories of Paul’s life. The pictures included in the story help those of us who maybe would say “well, didn’t he look different?” or “how could they not have known her had a mental disorder”. If you are still thinking you can identify mental illness in the same way you can identify a cat or a dog, you’ll quickly see that it’s not that easy. Paul looked just like any other toddler, teenager, grown man, and musician. His own parents weren’t sure if he was suffering from a mental disorder or if he had gotten mixed up with the wrong crowd abusing drugs and alcohol. This was a real eye opener for me and Sharples does a great job telling about the good times and the tough times of living with Paul’s Bipolar Disorder. I love how Sharples shares a list of things she will always remember about Paul. Regardless of who you’ve lost in this life, it’s important to hold onto the memories. Leaving the Hall Light On is a great way to memorialize Paul as well as share his story and her own with the world. I admire Sharples for her writing style as well as her honesty about what any parent would describe as their worst nightmare. This is a well written memoir I would recommend to not only parents, but anyone who has loved and lost or loved and feared loss. Although Madeline Sharples worked most of her professional life as a technical writer and editor, grant writer, and proposal manager, she fell in love with poetry and creative writing in grade school. She pursued her writing interests to high school while studying journalism and writing for the high school newspaper, and she studied journalism in college. However, she only began to fulfill her dre Although Madeline Sharples worked most of her professional life as a technical writer and editor, grant writer, and proposal manager, she fell in love with poetry and creative writing in grade school. She pursued her writing interests to high school while studying journalism and writing for the high school newspaper, and she studied journalism in college. However, she only began to fulfill her dream to be a professional writer late in her life. She co-authored a book about women in nontraditional professions called Blue-Collar Women: Trailblazing Women Take on Men-Only Jobs (New Horizon Press, 1994) and co-edited the poetry anthology, The Great American Poetry Show, Volumes 1 (Muse Media, 2004) and 2 (August 2010). She wrote the poems for two photography books, The Emerging Goddess and Intimacy (Paul Blieden, photographer). She is pleased that many of her poems have appeared online and in print magazines in the last few years. 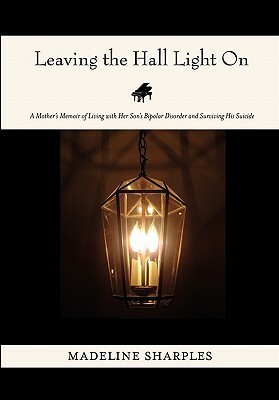 Madeline's memoir, Leaving the Hall Light On, about how she and her family survived her older son's suicide, as a result of his bipolar disorder, was originally released on Mother's Day 2011. It is now published in paperback and eBook by Dream of Things publisher. She and her husband of 43 years live in Manhattan Beach, California, a small beach community south of Los Angeles. Her younger son Ben and his wife Marissa live in Santa Monica, California. “Nearly every writer writes a book with a great amount of attention and intention and hopes and dreams. And it's important to take that effort seriously and to recognize that a book may have taken ten years of a writer's life, that the writer has put heart and soul into it. And it behooves us, as book-review-editors, to treat those books with the care and attention they deserve, and to give the writer that respect."